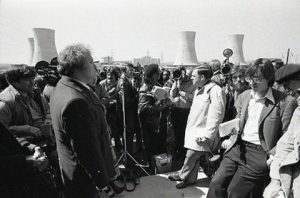 March 28, 2019 marked the 40th Annversary of the Three Mile Island accident. It woke up millions to the dangers of nuclear power and remains one of the largest nuclear disasters in the world. 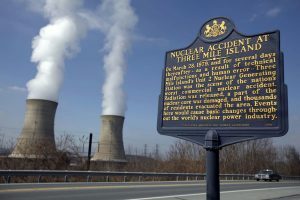 But the terrible impacts of the partial meltdown, explosion, and releases of radiation on communities around TMI have always been downplayed, ignored, and simply covered up. Survivors and community members gathered to commemorate the accident over the next week, with events, activities, and protests in Harrisburg, PA and the surrounding area. The presentation was followed by Q&A with the audience. 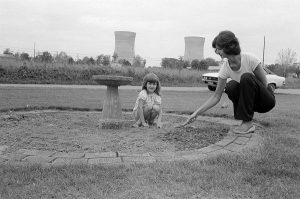 A nuclear reactor meltdown releases massive radioactivity that was never supposed to reach our environment, or our bodies—there are many types released; cesium and strontium play large parts in the impact on health, and both of these bad-actors decay in a characteristic half-life of around 30 years. It takes 10-20 half-lives for these to be close-to-gone from our environment. We are really only at the front-end of these impacts. 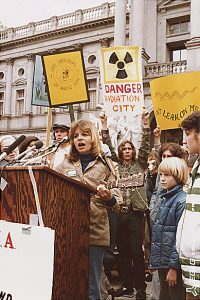 Founded in 1977, these folks were warning about Three Mile Island before the ¾ meltdown on an island in the Susquehanna River in 1979. Check out their updated website for TMI 40th events, speakers, commemorative bling, and the truth about TMI. Fairewinds Energy Education – What Is a Meltdown? Here is the ENGLISH-Language page—rest assured the pages in Japanese are formidable! This group has not missed a beat since it began in 1991. It has been a primary resource for people seeking to break the strangle hold of the nuclear industry in Japan, including ever since three General Electric (US designed) reactors melted down in Fukushima Prefecture in 2011. The page has not had an update since 2016—and, actually, we are happy about that! Many of the resources posted remain valuable. 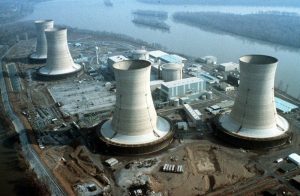 In 2011, as the Fukushima Daiichi triple reactor and fuel pool accident unfolded, NIRS’ late Executive Director, Michael Mariotte performed a service to our community, and to some degree the Western world, as he created a day-by-day, and in some cases hour-by-hour log of information in English as it became available. Posted to the NIRS website, Michael was often the first person to bring critical pieces of information together, and was frequently contacted by news media and some elected officials to confirm and interpret information about this new disaster. 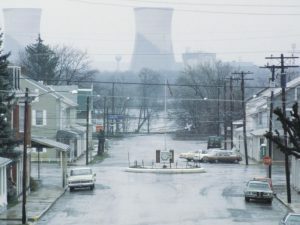 The log begins here, on this page: https://www.nirs.org/category/fukushima/page/14/ and follows forward to 2016, the year Michael passed. 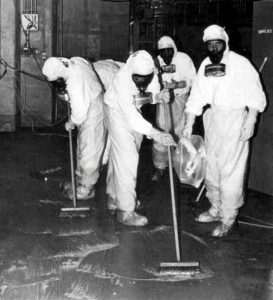 TMI workers attempt to decontaminate part of the reactor building. 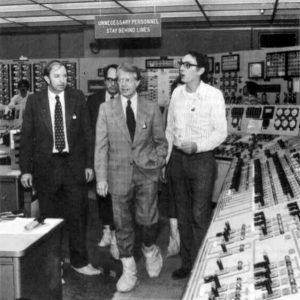 President Jimmy Carter tours the TMI unit 2 control room days after the start of the disaster.